For an Opening Day of the World Championship season, the Victoria Cup Japan really gave us everything we could have asked for, and then some: flawless blue skies, an unparalleled view of Mount Fuji and fiercely contest racing at its very best, as the newly introduced Super Lap format proved a resounding success and provided an extremely interesting new dynamic to World Championship Racing. Having flown in late last night, Connor Baxter (Starboard) seemed unfazed, as he faced the task at hand and put on an impressive performance in today’s long distance race to take victory on Day 1 of the Victoria Cup. However, it was one of the most competitive races yet, with new faces making their presences felt, and putting the pressure squarely on the favorites at every turn. Despite the increased pressure and the unknown of the Super Lap, Connor put on an undeniably strong performance and was able to hit the sand just inches ahead of team mate Michael Booth (Starboard) to take the win. It is not over yet however, with Day 2 to witness the famous World Series Sprints, as the 80+ strong fleet will be wittled down to one winner overall for this all important 1st stop on the 2016 World Championship Series. Michael Booth (Starboard) has been on a tear so far in 2016, making his presence felt in national races across the length and breadth of Australia. 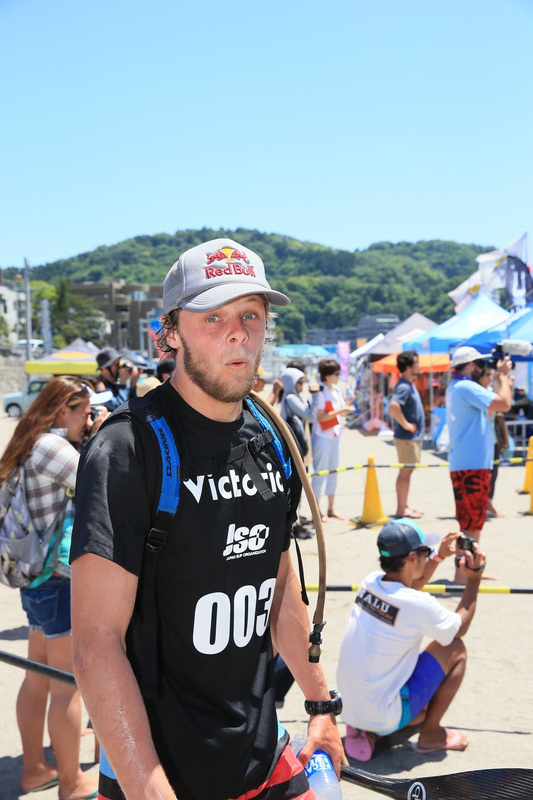 Howver, we were anxious to see how he would fare stepping up to do battle on the global stage here at stop #1 of the 2016 Stand Up World Series in Japan……..the answer: he is a major threat and force to be reckoned with, and pushed the eventual winner Connor Baxter right up to the beach to take an incredibly close 2nd place in today’s long distance having set the pace for much of the race along with Connor and 3rd place finisher Casper Steinfath (Naish). We are now excited to see how Michael fares in the World Series Sprint format tomorrow as we anticipate one of the most competitive year’s yet on the Stand Up World Series and a battle for the World TItle like no other. Casper Steinfath (Naish) just seems to get stronger, faster and more competitive as time goes by, and once again puts together a stellar performance here on Day 1 of the Victoria Cup Japan, Stop #1 of the 2016 Stand Up World Series. Casper finished 2015 up on a high with a 3rd place overall at the end of the season, and now finds himself in a familiar place on Day 1 of the new season, with an impressive 3rd place finish in today’s long distance race. 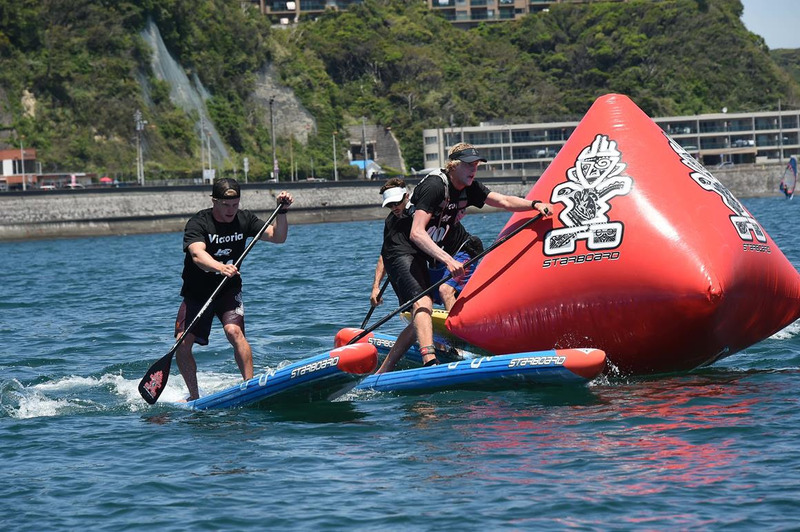 Casper, Michael Booth (Starboard) and Connor Baxter (Starboard) formed a tight 3 man pack for much of the race, breaking off for their Super Lap at the same point and building a lead for those on their program. 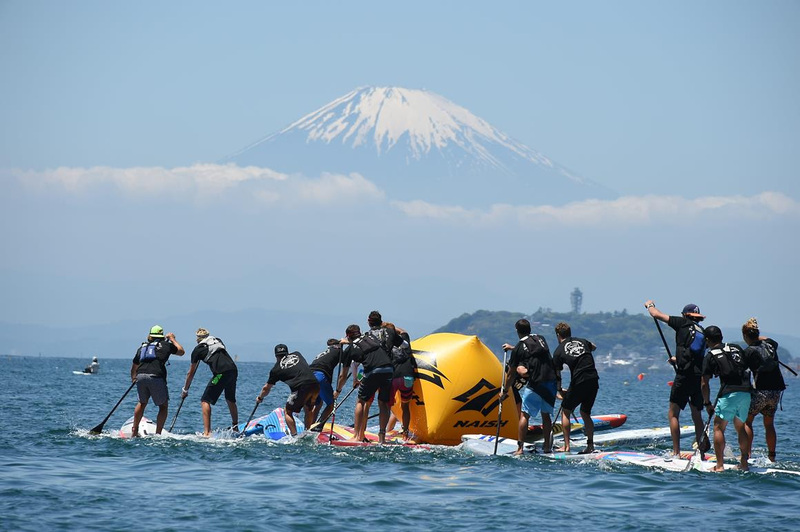 However, the other pack that opted for the Super Lap last, led by 2015 World Champion Kai Lenny (Naish) turned the penultimate buoy to find themselves right on the tail of the leading 3 for an exciting closing leg. The leading 3 however were able to hold their position and secure the top 3 spots, with Casper showing once again that he can not only keep pace with the best of the best, but challenge and beat them. Fiona Wylde (Starboard) continues to go from strength to strength here on the WOrld Championship platform for Stand Up Paddling: after an impressive performance at the Turtle Bay Women’s Pro where she finished in 2nd place behind 2x World Champion Izzi Gomez (Starboard), the double threat once again showed her prowess today in the Racing division by taking the win in the all important Opening Day of the 2016 Season. 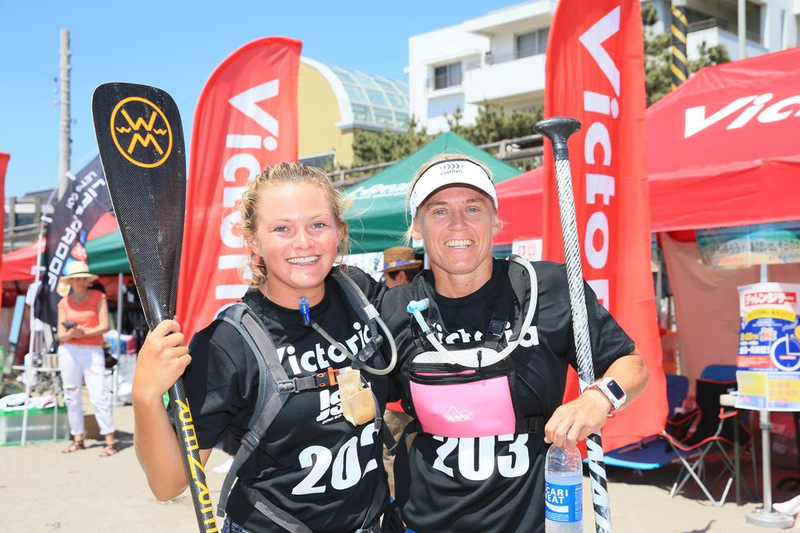 Clearly revelling with the new Super Lap format, Fiona played her cards right and chose the right time to break away on her Super Lap, managing to keep pace and beat the 2015 World Champion Candice Appleby (Infinity SUP) in this long distance race. Strategy clearly played a real role in today’s race, with Angie Jackson and Fiona splitting off together on their Super Lap and pushing each other to maintain pace and focus on a strong finish here at the Victoria Cup Japan. The strategy worked and Fiona emerged victorious and we now await an exciting close to the Victoria Cup Pro racing tomorrow with the infamous World Series Sprints. Angie Jackson has a great relationship with Japan, having won the 2014 Chiagasaki Pro World Challenger Series and now producing her own line of boards in conjunction with a local partner that are receiving rave reviews in her home town where her and husband Paul Jackson run a successful SUP store. So to witness a solid performance from Angie today was no surprise, as she battled with friend and rival Fiona Wylde (Starboard) until the end, taking 2nd place in today’s long distance race on Day 1 of the Victoria Cup. As we look forward to another full day of racing tomorrow, we are expecting some fireworks in the World Series Sprints, as the girls will be putting it all on the line here for victory at Stop #1 of the 2016 Stand Up World Series. 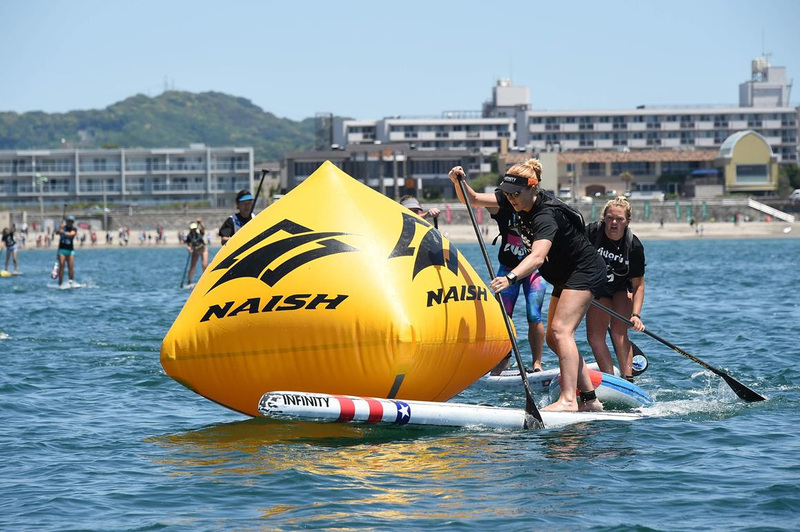 Candice Appleby (Infinity SUP) kicked off her unbeaten 2015 World Title Campaigh in style last year with bullet wins in both long distance and sprint racing, as her momentum continued through the year to allow her to secure the Title in advance of the Final event. 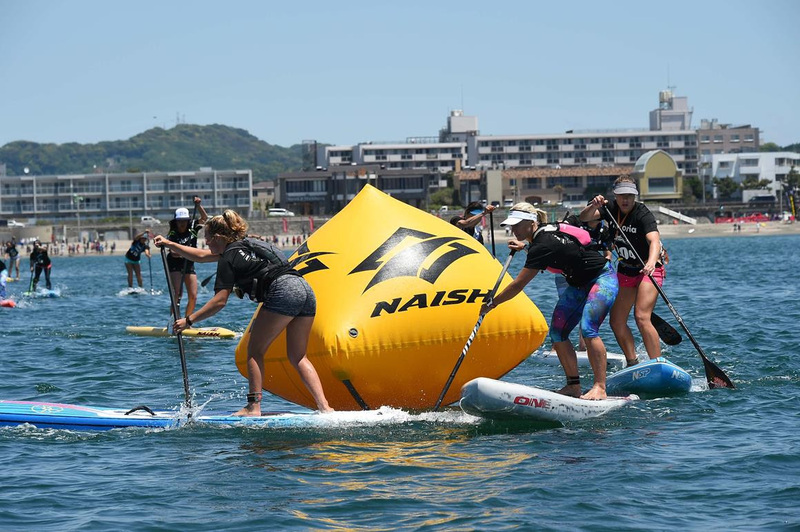 Returning to Japan in 2016, she is looking stronger and faster than ever, but perhaps was a little thrown off with the Super Lap format where heading out on your own isn’t necessarily the best strategy to pursue, expecially after seeing how Fiona Wylde (Starboard) and Angie Jackson’s battling saw them secure 1st and 2nd respectively. However, a podium is still a podium, and Candice is notoriously dangerous in the World Series Sprint Racing format as we anticipate some extremely competitive racing tomorrow for Day #2 of the Victoria Cup Japan. 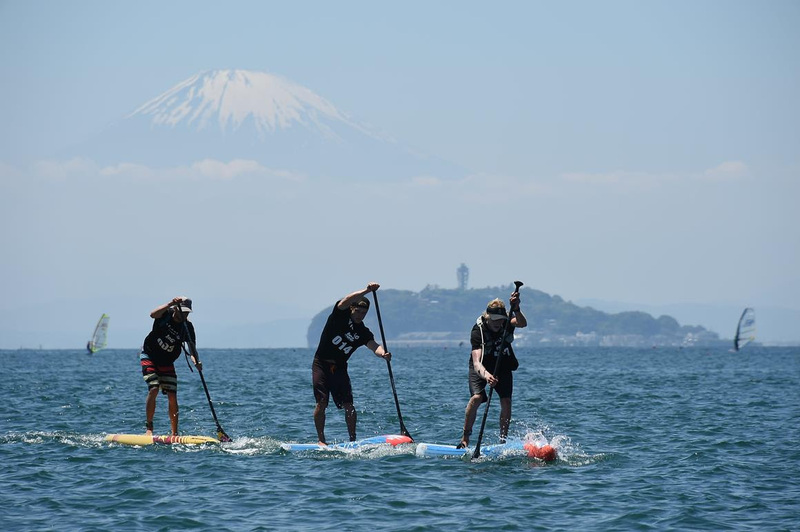 It was a magnificent day here at Zushi Beach for Day 1 of VIctoria Cup Japan, the opening stop of the 2016 World Series – spring time in Japan is mesmerizingly beautiful, from the cherry blossom and clear blue skies to the dramatic backdrop that Mount Fuji and Enoshima provide, it proved to be the ideal way to open the 2016 season for the World Championship Series. The all new ‘Super Lap’ format adopted for the Long distance today proved a resounding success, as strategy came into play more than ever for one of the most fiercely contested races yet. With stand out performances across the board, it was a day to remember, as both established and up and coming athletes stood up to be counted.